Shopping Outlet is an online store that offers electronics and lifestyle products for its users. Its product range includes mobiles, cameras, printers and its accessories, Men and women clothing, footwear and accessories, Kitchenware, home decorative, sports and fitness products etc. All products are updated daily and are available at competitive prices with 100% money back guarantee and easy return policy. Use this offer and get Minimum 75% to 80% off on Sports shoes from Shopping Outlet. The product is of worth Rs.699. This Offer is valid for all users. Hurry !!! Use this offer as it expires soon. Now Get Upto 80% Off On Sports Products Shown On The Offer Page. No Promo Code Required. The Product Is Already Discounted. Just Click On The Link To Avail This Offer. 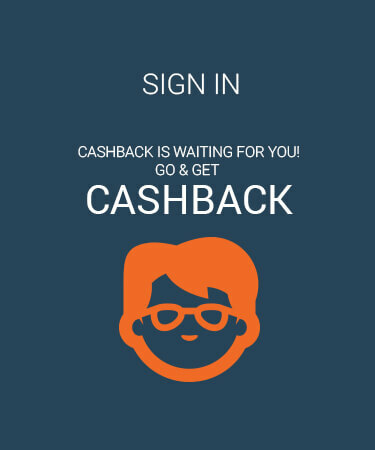 PaisaWapas offers you the best prices on various products featured on Shopping Outlet, ShoppingOutlet.in, is one of India's best technology and digital lifestyle shopping portal. Providing a simulating online shopping experience, it offers the latest range of gadgets and electronic products at most competitive prices. ShoppingOutlet.in carries over 4000 products and the list is constantly being revised. 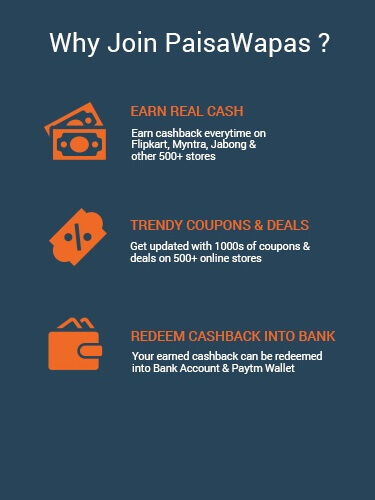 Shop at Shoppingoutlet via Paisawapas.com to get exclusive coupons and extra Cashback offers. Step 2: Click on the offer that you want. This will take you to Shopping Outlet Website. Step 3: Shop normally at Shopping Outlet . Pay as you normally do, including by Cash-on-delivery.